If the transport minister, Ole Birk Olesen, has his way, there may soon be driverless trains on Copenhagen’s S-train network and they will be run by private operators rather than DSB. The business model will be similar to that used on the Metro, where the running of the trains will be the responsibility of a private company whilst the infrastructure and trains themselves are owned by DSB, reports DR Nyeheder. 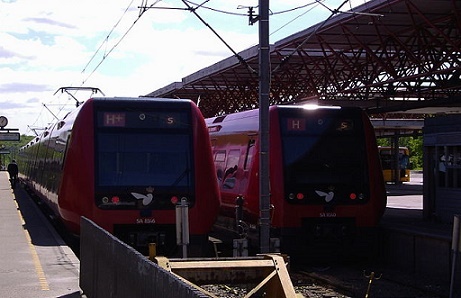 At present, the S-train network is a lucrative business for DSB, which generates profits of around 1 billion kroner per year. According to Radikale’s transport spokesperson, Andreas Steenberg, it is expected to cost 4.5 billion kroner to introduce driverless trains. However, the money saved through tendering the project is expected to cover this. On top of that, driverless trains are predicted to be able to generate 13 million extra passengers a year. “This is one of the best things we can do to create development in the capital region and solve congestion and pollution problems,” said Steenberg. The history of foreign involvement in such projects up to now has been chequered to say the least – just think of the IC4 fiasco – but according to Venstre’s transport spokesperson, Kristian Phil Lorentzen, there will be no compromises when it comes to service, even though it could be a foreign company that takes over the running of the trains. “The important thing is that it is us politicians who lay down the service levels that passengers should receive. This is something we shan’t compromise on, and it is then up to those who want to bid for the contract to live up to this and see whether they want to bid under those conditions,” said Lorentzen.